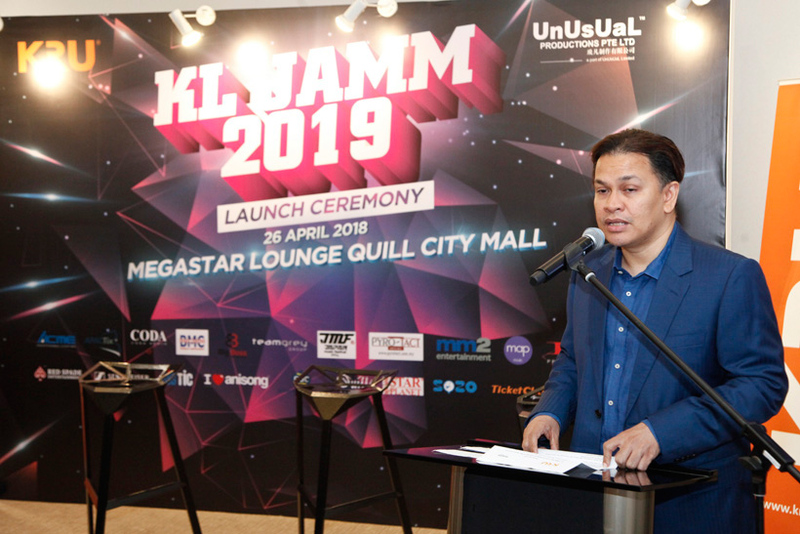 KRU Music is all set to organise a yearly international music festival, entitled KL Jamm, from April 2019 onwards with the support of Kuala Lumpur City Hall, Asia Music City, Quill City Mall and Singapore-based events firm Unusual Productions. As explained by Dato’ Norman Abdul Halim – Chairman of KL Jamm, President of KRU Music, and Chairman of International Federation of the Phonographic Industry’s Asia Pacific Board – the objectives of the festival include creating an exciting platform for local, regional and international artistes to engage with music lovers around the Asia Pacific region, and promoting Kuala Lumpur as a world-class city with modern, progressive and cultured society by using pop music as the platform. It is also hoped to foster and form strategic alliances among local and foreign creative talents (recording artistes, musicians, composers, producers and the like) and organisations (such as record labels, promoters, talent managers, international media). “There are many successful international music festivals around the world being held annually and it is high time for Kuala Lumpur to take the centre stage to host such an exciting event. We are very fortunate to get the support of strong event partners at an early stage, and it truly reflects on what believe the magic of live music can do – which is to unite all of us in a place with a common goal,” said Dato’ Norman. Taking place from 26 to 28 April 2019, the inaugural KL Jamm festival will be see the convergence of some 200 local and foreign artistes, 50 panellists for the music symposium, 100 exhibitors at the music exposition and 50 journalists from international media companies. Tens of thousands of music lovers and fans are also expected to attend the concerts, music expositions and related events precipitated by KL Jamm.